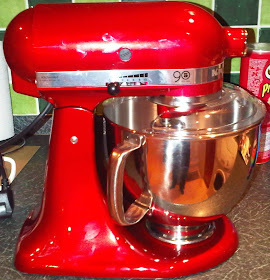 Just a Girl and her KitchenAid: My New Baking Buys! 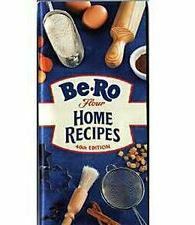 Alongside this, my OH's mum bought me this book following a conversation about how I learnt to bake at the side of my grandma who always had her trusty BeRo at hand. All of the recipes that I remember are in there; Maids of Honour, Viennese Fingers, the lot! Lakeland currently have a buy one, get one half price offer going on and I bought a new baking sheet ﻿that gratefully isn't silicone and a cake ring which is effectively a bundt tin! My brother also bought me an icing spatula so I am one very happy girly! I hope so, I can't decorate to save my life! Lakeland is the best place to have shares, if we could buy them! Kevin really is beautiful, your very lucky!! Nice blog! Dzoli, I welcome as many cookbooks as my shelves can hold! Lovely presents! 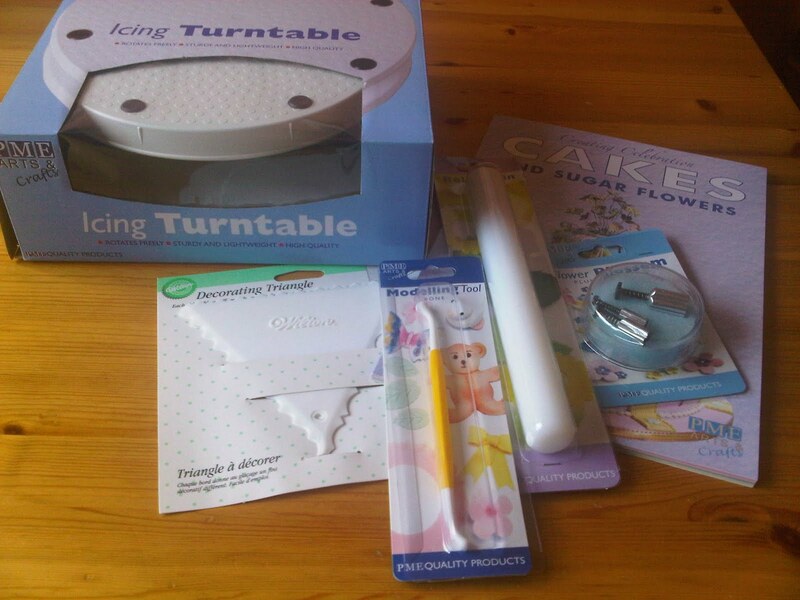 I'm particularly envious of the icing turntable. 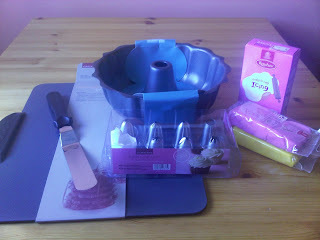 Looking forward to seeing some beautifully decorated cakes! I am very lucky! I'm sure the turntable was affordable, it claims to be 'suitable for students'! Thanks, I'll try to impress! Lovely selection of goodies there - you must put them to good use or they'll be sad! Glad to hear about the Lakeland offer (not sure Mr CC will agree) as I'm visiting one of their stores this weekend! I'm envious too, esp. of that turntable.